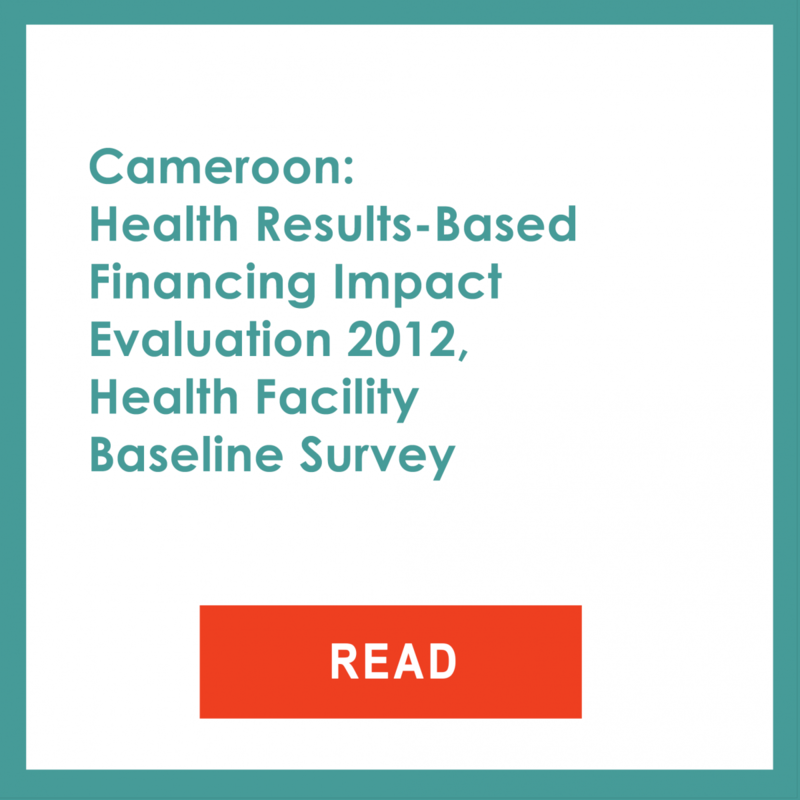 In 2012, Cameroon started a Performance-Based Financing (PBF) pilot in the health sector. The PBF mechanism was designed to increase the efficiency of health system inputs and to improve the coverage and quality of priority maternal and child health (MCH) services by paying health facilities bonuses linked to the volume and quality of services delivered. The pilot program was implemented in 14 districts in three regions of the country— East, South West and North West. Embedded in the PBF pilot was a prospective randomized impact evaluation. 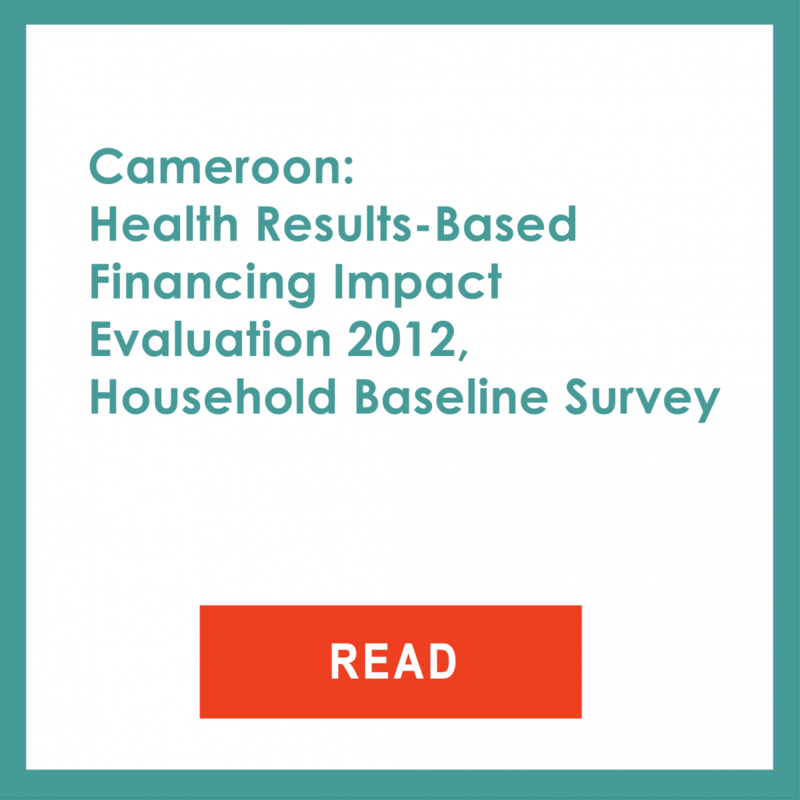 Its goal was to generate evidence on the effectiveness of PBF approaches in improving MCH service coverage and quality in the Cameroonian context. The evaluation design compared four arms to distinguish the effect of the different features of the PBF mechanism on health facilities. These facilities were randomly assigned to each of the four treatment arms of the study. In the first treatment arm (T1), health facilities received the standard PBF package with payments linked to performance. In the second treatment group (C1), health facilities were offered the same level of financing but these payments were not linked to performance. However, health facilities in the C1 arm had the same levels of supervision, monitoring, and autonomy as T1. Therefore, facility managers in both group T1 and C1 had the autonomy to hire staff with their PBF revenues or budgetary supplement received, and fire staff if necessary. In addition, managers from these two groups had autonomy over their PBF funds. In the third arm of the study (C2), health facilities received the same levels of supervision and monitoring as the first treatment arm; however, these health facilities did not benefit from any additional resources or autonomy. The last arm of the study (C3) was the pure comparison group. Health facilities randomly assigned to this group did not receive either financial resources nor supervision or monitoring. There is also an ongoing qualitative analysis of the PBF pilot. The qualitative analysis will help understand and interpret some of the impacts measured – or their absence – and will shed light on possible mechanisms. The evaluation results suggest the following take-away lessons. In general, PBF is an efficient mechanism to bring payments and funding at the provider level, leading to significant increases in coverage (child and maternal immunization, family planning, HIV testing) and improvements in structural quality of care. It should also be noted that positive impacts on coverage were found on indicators that health facilities could use outreach strategies. The PBF mechanism also leads to a decrease in out-of-pocket payments, in particular unofficial payments. For many of those outcomes (child and maternal immunization, family planning, HIV testing), the differences between health facilities with the standard PBF package (T1) and the additional financing group (C1) are not significant. 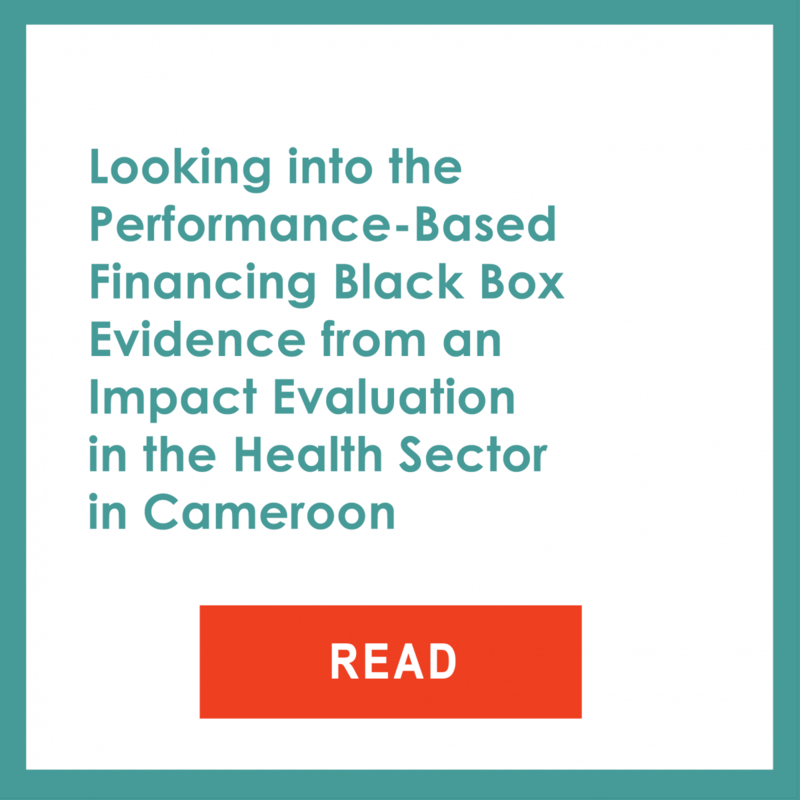 As mentioned before, health facilities in the C1 group were offered all the elements of PBF except the direct link between individual facility performance and additional financing. Thus, it is not obvious that the differences in intervention design were understood by the staff and management. Nevertheless, there was a clear effect for the importance of additional financing plus reinforced supervision through PBF instruments (comparing groups T1 and C1 versus groups C2 and C3). However, enhanced supervision and monitoring alone are not sufficient to improve MCH outcomes. The absence of impacts for some MCH indicators such as skilled deliveries and antenatal care visits was surprising. It is possible that the supply-side incentives for providers were not sufficient given existing user fees. This might act as a barrier on the demand-side. A policy discussion about combining demand-side and supply-side incentives would be useful. In terms of quality of care, most of the positive impacts were observed on structural quality. However, despite an increase in providers and supplies available at health facilities, the PBF mechanism did not increase the completeness of service provision (content of care) during antenatal care and child health consultations. Further reflection and efforts should be devoted to identify mechanisms to incentivize or otherwise improve the content of care beyond equipment, supplies and staff availability.